Just one month after experiencing the largest monthly increase in six years, the nation's mortgage delinquency rate took a big tumble in December, according to Black Knight Financial Services' December 2014 "First Look" at Mortgage Data released Friday. The mortgage delinquency rate, or the number of mortgage loans that are 30 days or more past due but not in foreclosure, dropped down to 5.6 percent for December – a decline of 7.2 percent from November and 12.7 percent from December 2013. 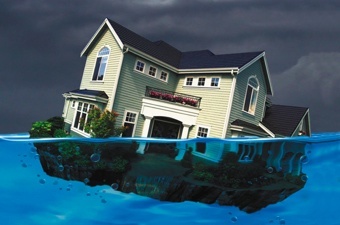 Both foreclosure completions and foreclosure starts on Fannie Mae and Freddie Mac loans continued their steady decline in the third quarter, according to the Federal Housing Finance Agency (FHFA)'s Q3 Foreclosure Prevention Report released Monday. The GSEs completed 39,100 foreclosures in Q3, down 9 percent from the 43,000 that were completed in Q2, according to the report. The number of residential foreclosure filings in the U.S. declined by 9 percent from October to November despite a yearly spike in the number of foreclosure starts (scheduled auctions), according to RealtyTrac's U.S. Foreclosure Market Report for November 2014 released Thursday. Wayne County, Michigan, has begun to execute the plan county officials announced in mid-October to start tax foreclosure proceedings on approximately 75,000 distressed properties for which the owners are three years or more delinquent on property taxes. 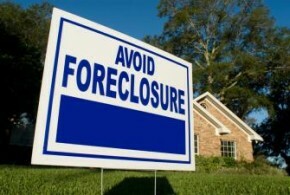 The percentage of September's foreclosure starts that were repeat foreclosures rose by two percentage points month-over-month to account for 53 percent of foreclosure starts, tying the highest percentage for a single month, according to Black Knight Financial Services' September 2014 Mortgage Monitor. Wayne County, Michigan, is launching an aggressive campaign to begin foreclosure proceedings on 75,000 residential properties whose owners are three years or more behind on paying property taxes. According to RealtyTrac's 2014 Election Housing Market Scorecard released on Tuesday, 33 out of 35 counties in Colorado with sufficient housing data to score ranked in the "better off" category, meaning that the housing market in those counties is better off than it was two years ago. The total number of homeowners receiving permanent loan modifications declined in July, as did the number of modifications made under the Home Affordable Modification Program (HAMP), according to figures released this week by HOPE NOW. Meanwhile, foreclosure starts rose a little more than 1,000 from June to settle at 70,401.